My name is Mikal Kendricks. I am married with a darling 5 year old daughter and have enjoyed building my Mary Kay business (part-time) since 2005. I absolutely LOVE it!!! This business gives me the opportunity to set my own hours, I’ve made some great friends and the earning potential is limitless. Mary Kay Ash founded her company on some values that I personally connect with: faith first, family second and career third. 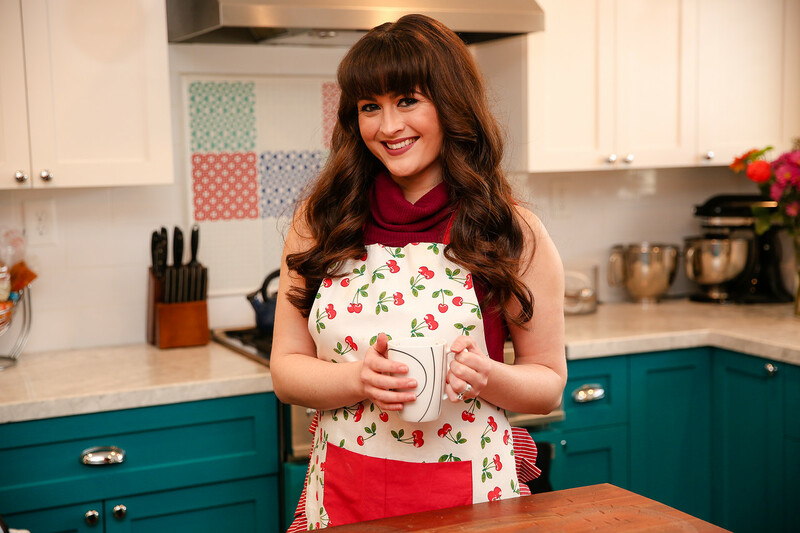 She had one goal – to help women live the life of their dreams, and with a handful of products, she helped those dreams come true. Over fifty years later, her principles live on in the more than 3 million Independent Beauty Consultants worldwide – mothers, daughters, sisters and friends. The business that Mary Kay Ash started with $5,000 in savings is today a multi-billion dollar Company that has earned the trust and loyalty of millions of women. Mary Kay offers quality skin care and makeup products at a reasonable price point, you can try before you buy and if you’re not satisfied with your purchase you can return it at any time (even a whole year later)!!!! 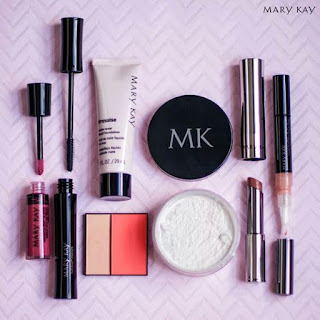 Here are a few things you may want to know about Mary Kay products: consumer safety is our priority, we do not support animal testing, we are committed to environmental sustainability, medical experts help with product development and we want our customers to be satisfied with every purchase. I am always looking for more beautiful ladies to try Mary Kay products and can create a sample bag of products just for you. You can also try Mary Kay products by scheduling a one-on-one consultation, I can send you products in the mail or you can share it with friends and earn up to $100 in Free products by hosting a Mary Kay Party. Since I know many of us are constantly on the go and multi-tasking, I wanted to share a quick tutorial with you for a flawless face. 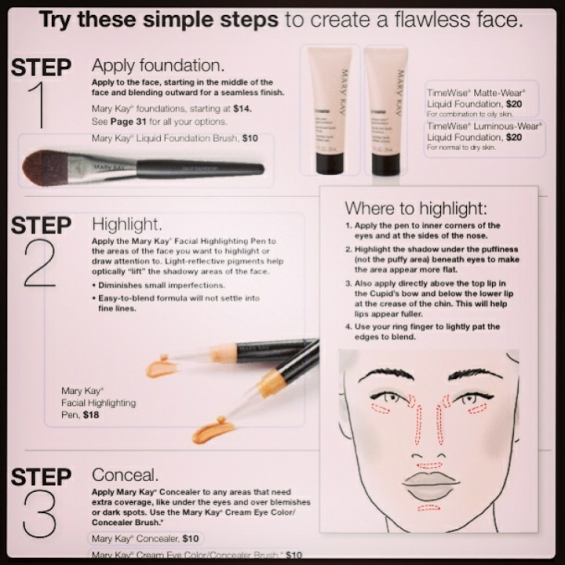 In just three easy to follow steps, you can create your own flawless look and save yourself some time! 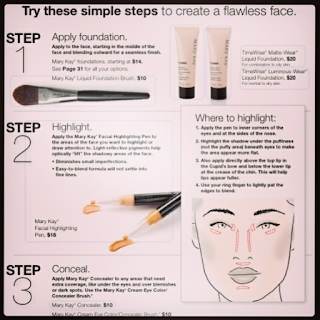 Simply apply your foundation, highlight and conceal; it is really that easy! My next promotion starts on August 31st and will end on September 7th. Here are the details: anyone who completes the registration on my website will receive 15% all orders of $50 or more. 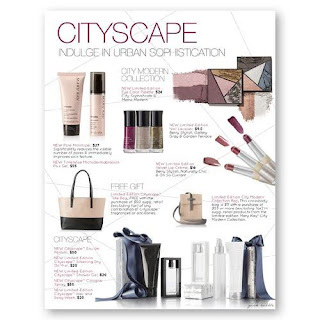 Also, you can earn a Free Cityscape Tote Bag with a purchase of $90 or more. We all could use a cute tote bag for all of our favorite things, totes ma goats! You can connect with me in many different ways: through my website, email me, follow me on Instagram, or on Facebook. 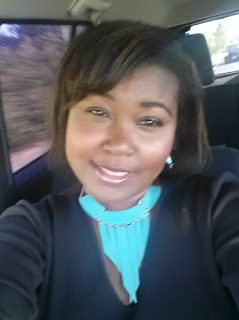 I look forward to meeting you and introducing you to the wonderful world of Mary Kay!!!! Mikal is an absolutely amazing consultant full of wonderful skin care and cosmetic tips. Thanks for sharing your wealth of knowledge! Thanks for stopping by and showing support! We appreciate it!